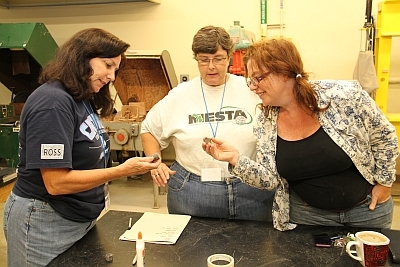 Michigan Earth Science Teachers Association (MESTA) Conference is being held at Michigan Technological University August 15-19, 2012. 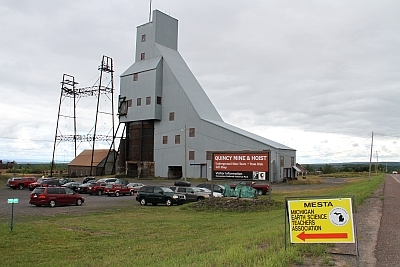 The conference is a joint conference with the National Earth Science Teachers Association (NESTA). 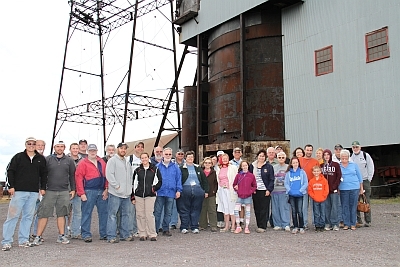 Field trips and workshops are going on all over the Keweenaw area. 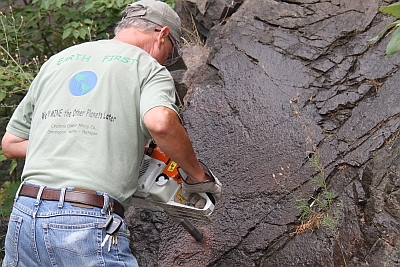 Paleomagnetism Field/Lab Experience with Dr. Aleksey Smirnov and Kari Anderson. Seaman Mineral Museum and Lectures: Keweenaw Geology with Dr. Ted Bornhorst and Copper Crystallography with Dr. John A. Jaszczak. MESTA Awards Banquet Keynote Speaker: Dr. Larry Lankton: "The Rock Overhead: A Matter of Life and Death." 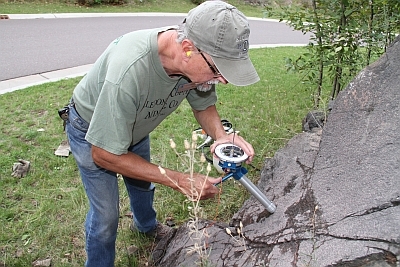 In just one example of the many activities, earth science teachers will see some of the Earth Magnetism Laboratory at Michigan Tech and its research projects including investigating the magnetism of Keweenawan basalts, how two billion year old rocks in India record changes in the Earth’s magnetic field, and correlations between behavior of the Earth’s magnetic field and our climate. 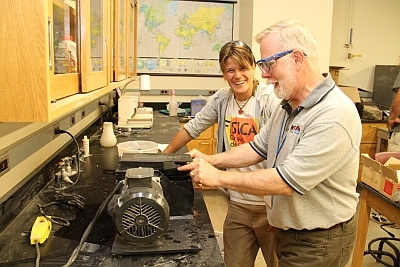 Teachers can participate in a short course of hands-on exploration into paleomagnetism. They will examine local Keweenawan basalts for their magnetic signature and magnetic mineralogy. 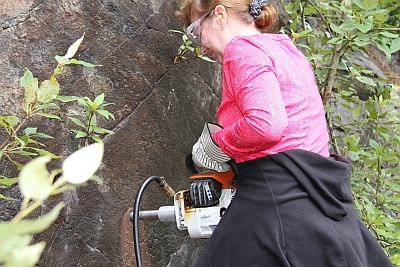 Participants will receive a brief overview of what members of the EML do and the purpose served; an introduction to field methods, including use of magnetic and sun compasses and the rock drill; sample preparation; and laboratory methods. 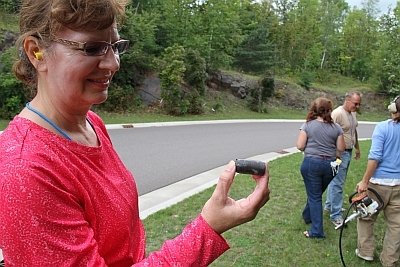 Photos at left illustrate just one of the many activities that were available for teachers.